Inspired by the charm of an old painted barn, these rustic response cards feature a woodgrain background covered in worn paint. 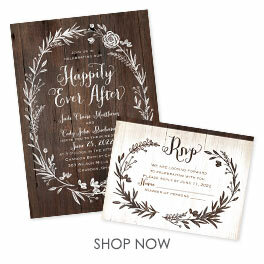 Wood background and your wording are printed in your choice of colors and fonts. Envelopes are included.